For over 30 years we have been a reputable manufacturer and distributor of high quality medical and cleanroom consumables, serving several core markets including hospital pharmacy, pharmaceutical manufacturing, laboratory and veterinary environments. Established in 1984, Helapet delivers a diverse and innovative range of sterile and non-sterile products, supporting critical environment activities across all areas of aseptic manufacturing and healthcare provision. As major distributors for Huck Fasteners and tooling, Permalok have unrivalled experience in solving fastening problems in markets as diverse as mining/quarrying, bridge building, crane refurbishment, truck, trailer and coachbuilding, rail track/ rolling stock and silo construction and many others. TR Fastenings Ltd is part of Trifast plc, and is a global engineering, manufacturer and distributor of industrial fastenings and Cat C products. We have 31 locations, of which 8 are high volume production manufacturing sites producing over 33% of the product sold and distributed to over 60 countries. TR has a global footprint that meets the needs of the multinational OEM’s and Tier 1’s that we support. Dual Pumps is a leading supplier of pumps, fluid handling components, agricultural & industrial spraying products, pressure washers, pressure wash accessories & cleaning equipment. Established in 1975 we now employ over 30 people at two sites in Leicestershire. Our customer base includes leading UK manufacturers, distributors, hire shops & service centres. Star Fasteners is a forward-thinking global distributor of Huck fasteners. We are committed to supplying customers with the highest quality and most innovative fastening solutions on the market. We hold extensive stocks of fasteners, tooling and tooling spares. 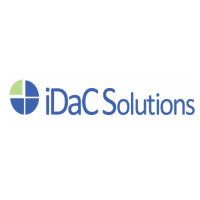 iDaC Solutions (formerly Datwyler UK Ltd) is the exclusive source for Datwyler cabling solutions in the UK and Ireland. We specialise in high performance cabling products for LAN networks, control & automation, fire safety, lift systems, data centres and harsh environments. As manufacturers and distributors, we’re not just interested in supplying you with what we make – our business is to supply you with the pumps you need. We have a huge stock or product made by both ourselves and other quality manufacturers, and we take pride in having a full portfolio of equipment available to us.